So, your baby has grown up to around 6 months and now the teething season is about to begin? 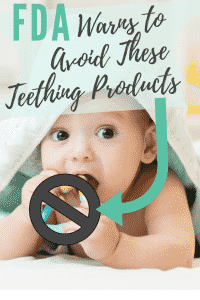 New parents must be worried about the pain and discomfort that baby will feel during teething and probably, some of you might have started collecting several medications and teething products to ease the process for your little child. Well! Before you take any step to ease the teething for your baby; it is important to go through the recent FDA guidelines issued about teething medications. Most parents make use of teething tablets to provide temporary relief from their child for sever teething pain but experts at FDA agency reveal serious risks associated with these medications. The major trouble of these products is observed in terms of methemoglobinemia that is a serious condition causing low oxygen levels in the blood. The symptoms may include pale skin, headache, sleepiness, difficulty in breathing, light-headedness, rapid heart rate and gray/blue nails. These symptoms can be observed a minute after using the product or even after two-three hours. FDA has recently circulated guidelines to companies for stop selling medications such as the teething tablets. And in case if production is not regulated on time, the agency may take serious legal action against manufacturers, as one can read in this public letter sent to manufacturers. The major cause of trouble for kids is the presence of benzocaine in teething products. It is usually present in most ointments, sprays, gels, lozenges, solutions, etc. Brands and products that fall into this category are Topex, Orajel, Orabase, Hurricane, Chloraseptic, Cepacol, Baby Orajel, and Anbesol. Note that Benzocaine is an anesthetic agent that causes numbness in mucous membranes. Most people use this substance to treat canker sores, sore throats, and gum irritation. But it is not safe for babies below the age group of 2 years. It is because benzocaine cause methemoglobinemia and babies are not able to resist this state in their body. In this medical health condition, hemoglobin can pick up oxygen content, but it stops releasing that to different parts of the body. The oxygen channel gets disrupted, and it causes difficulty in survival. Methemoglobinemia that represents the abnormal presence of methemoglobin in red blood cells can further cause seizures, shock and even death of the baby. How to soothe baby teething then? You can help ease the swollen gums with cold foods, like a cold carrot or celery and give it to your baby to chew. Cold drinks will also alleviate the discomfort temporarily. A good teether is also always an option. The FDA announcement has made it clear that it is important to avoid using teething tablets that contain benzocaine for the safety of your little child. 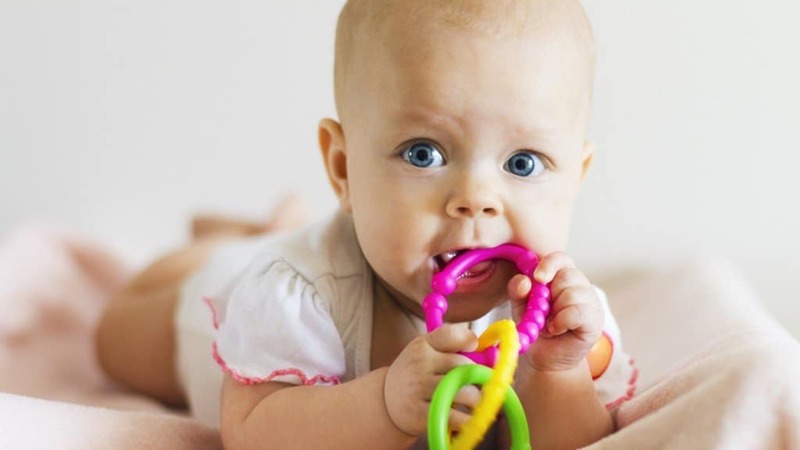 You can switch to other trusted remedies to soothe baby teething food grade silicone baby teethers.